Home > Mutual Fund Investors > DSP BlackRock MF Manages assets in excess of Rs.1,10,000 crore with over 20 lakh individual investors…! 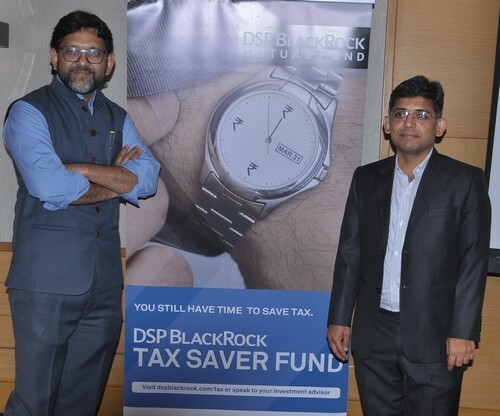 DSP BlackRock MF Manages assets in excess of Rs.1,10,000 crore with over 20 lakh individual investors…! On the one hand, we have some encouraging demand-pickup trends seen through corporate results this quarter - with key trends including IT stocks seeing scaling up of digital projects; FMCG, discretionary companies highlighting improvement in consumer demand led by rural; cement stocks reporting better-than-expected realization trends and retail private banks seeing strong loan growth. However, on aggregate, a select set of companies (corporate banks, pharma) dragged down the overall numbers. On the other hand, we have weak macro trends such as rising Current Account Deficit, oil prices, bond yields, inflation and a falling rupee. The macro trends weren’t always bad though. Since PM Modi took over in 2014, a lower CAD, controlled fiscal deficit, low inflation, stable / appreciating INR among other factors helped the Sensex rally 50% and the small and mid-cap indices rally 110% in INR terms. However, the market in 2018 so far has been in a see-saw mode. The Sensex hit a peak of 36200 in Jan 2018, dropped 10% over the next two months, rallied 6-7% thereafter, and then corrected again. The small-cap and mid-cap indices are down 15-20% from their peaks, while individual stocks have fallen 30% or more in some cases. On overall market valuations, if one compares the current valuations to 2007-08 peaks, markets valuations are certainly not outlandish on key metrics like 12m forward PE, 12m forward Price to Book, Market cap/GDP or Corporate profits to GDP. On a relative PB basis, large caps appear more attractive versus small and mid-caps and hence we advise investors to use SIPs as the means to investing in the small and mid-cap category. As far as fixed income market is concerned, any increase in rates is a welcome for the savers. Rate hikes indeed determine the trajectory of rates; and thankfully for savers this trajectory has shifted towards a hike. Rates on fixed income investments are determined by the demand and supply of money to fund growth. Post the structural changes of demonetisation and GST implementation, economic growth is gained momentum inducing higher demand for credit. Rise in credit induces higher demand for money from government as well as banks leading to higher yields (rates) on government securities as well as deposit rates. We expect the growth momentum to increase implying higher demand for money from government as well as banks. To put things in perspective, credit growth in the economy is pegged at 13% whilst deposit growth at 8% implying higher demand for deposits to fund credit. Herein the saver stands to benefit from elevated rates especially in the current phase of interest cycle wherein the spread between the deposit rates and the inflation is relatively higher than in the past cycle of higher interest rates. We remain underweight on bonds maintaining low duration across funds. We continue to recommend fixed income investments to be apportioned in close ended as well as open ended funds. This not only helps to earn higher accruals (Fixed Maturity Plan) but allocations in open ended funds operating at lower duration profile stand to benefit from the roll down of the maturity. The DSP Group recently bought out BlackRock’s 40% stake in DSP BlackRock Investment Managers Pvt. Ltd. The reason for this is that the DSP Group did not want to reduce its footprint in the asset management business. BlackRock’s approach is to have a global integrated technology and operating model and therefore they expressed a desire to have a controlling stake in the company.BlackRock respected the DSP Group’s 152 year old legacy and their desire to retain a controlling stake. DSP BlackRock manages assets in excess of Rs.1,10,000 crore ($ 16.5 billion) across equity, fixed income and alternatives (as on 30th April 2018) with over 2 million individual investors.